This was one of the appetizers I made for our New Year’s/Birthday Party. They went over very big. Very easy three ingredient recipe to make. 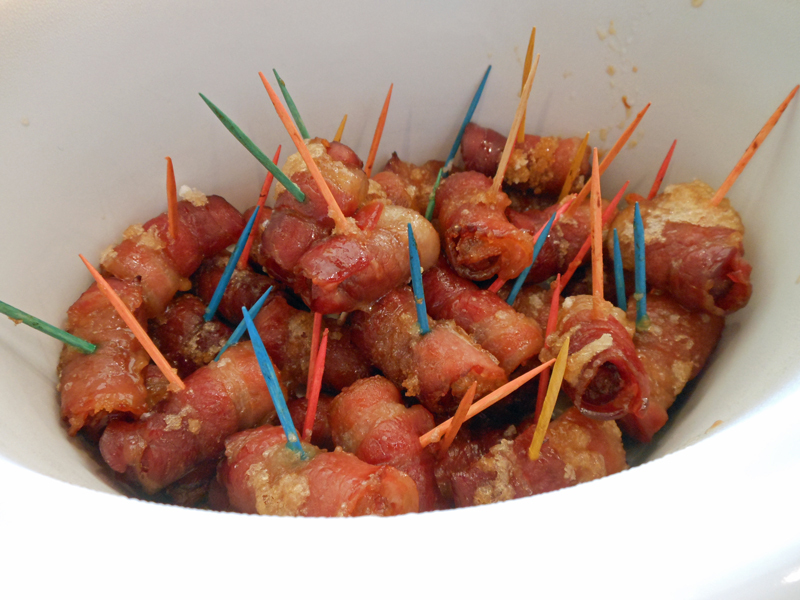 Wrap each cocktail wiener with a piece of bacon and secure with a toothpick. (It is easier to wrap wieners with cold bacon, so keep it in the refrigerator while working with a third of it.) Place on a large baking sheet. Sprinkle brown sugar generously over all. Bake for 40 minutes, until sugar is bubbly. To serve, place the wieners in a slow cooker and keep on the low setting.